With the VIRB elite, Garmin has broken into the action camera industry with a bang. 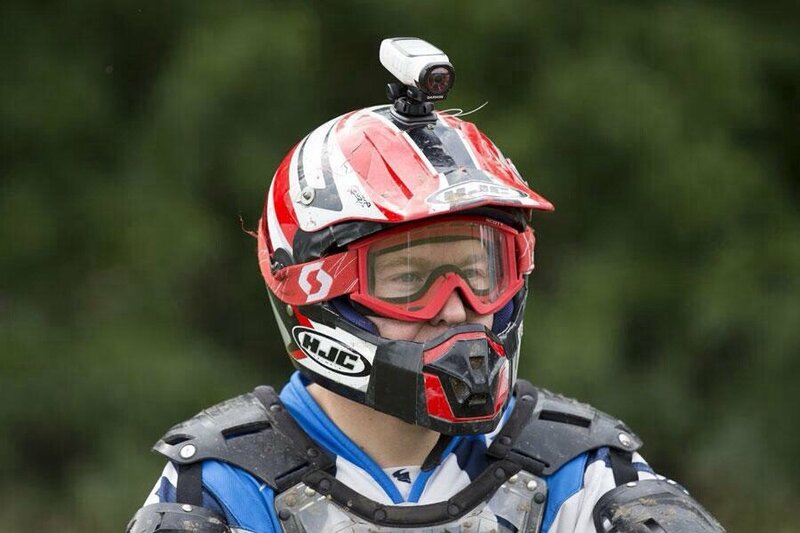 The device gives competitions to the likes of GoPro Hero3 and other high end action camera. Garmin, already a household name in GPS technology has now decided to jump in the field of action cameras. Being a premier producer of GPS products, they couldn’t just let go off the technology and brought that with them to the field. The Garmin VIRB Elite is the first action camera with a GPS on board. The camera comes with a 16MP CMOS lens and records in Full HD. It is compatible with a number of Garmin products and can be controlled via Garmin’s app on your Smartphone (iOS or Android). The camera features a 1.4 inch chroma display and with that just weighs around 1.6 ounces. The camera operates on a lithium ion battery that gives a backup of 3.5 hours and that too on FULL HD 1080p. 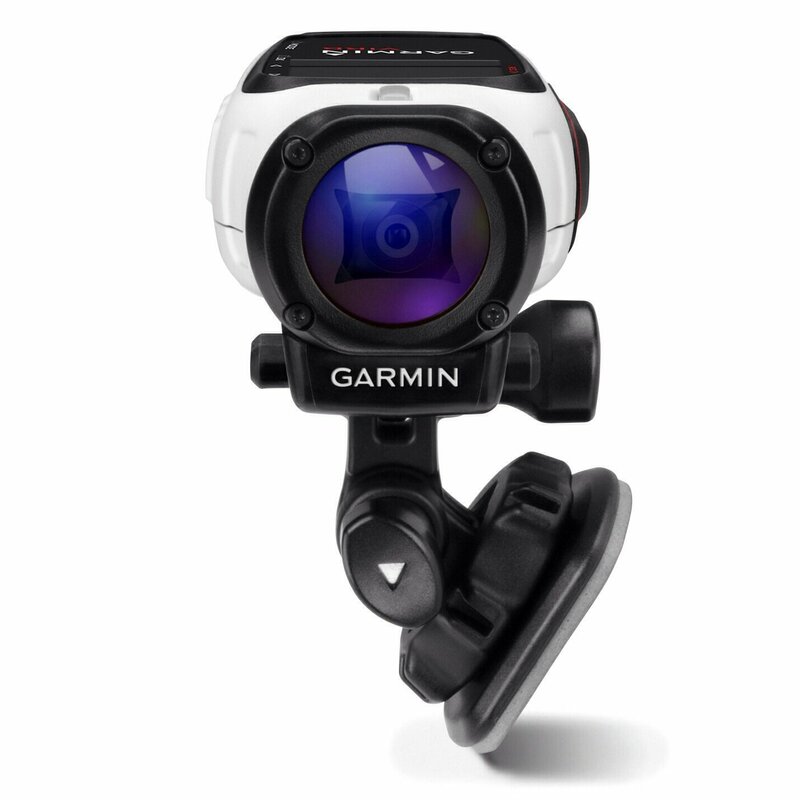 Garmin offers the camera with 1 year Manufacturer’s warranty and it is available on Amazon for $299.99 with FREE Shipping. The Virb Elite looks like a futuristic flashlight in a rugged and rubberized covering. The device seems pretty durable and is water resistant for thirty minutes. However, Garmin does not prescribe the users to shoot under water and offers an optional water resistant case for it. The 1.4 inch chroma display is brilliant and easy to use in bright sunlight. The text, alerts, functionalities and icons are displayed clearly in bold characters. The display is also a portal into the menu settings and helps you control the camera. The camera is pretty simple to operate. The VIRB elite comes with a 16 Mega pixel CMOS lens that can record in 1080p, 960p, 720p and capture still images at 16MP, 12MP and 8MP. The camera records high undistorted detail and in brilliant colors. With the Digital stabilizing feature, VIRB adds stability to your bumpy adventures so that you can remember your adventures in a smoother way. The Plus Lens Distortion Correction (LDC) technology helps to enhance your video’s quality without even editing it. So far what we have reviewed is what normal actions cameras do. What can VIRB elite do? VIRB Elite comes with a high-sensitivity GPS chip which data stamps and geo tags the taken pictures and videos. But that’s not only what they placed a GPS on such a device for. The GPS senses your movement, for instance if you are cycling it would keep on recording and as soon as you stop for a break or something it would automatically stop. The GPS actually responds to your movements. The device is also equipped with WIFI for wireless control and communications. You can connect the camera to your Smartphone or pc and control it via Garmin connect app. You can preview images, play videos, adjust settings and even start filming using the app. Garmin couldn’t ignore their obsession for fitness and with the ANT+ wireless technology you can connect your heart rate sensor or activity tracker to the camera and monitor your vitals even during your adventures. The camera also comes with an accelerometer on board. 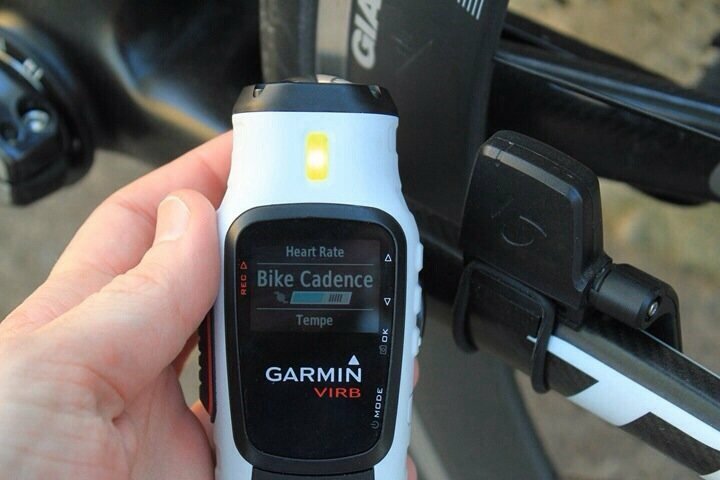 We were pretty amazed with what Garmin has brought here. Garmin has challenged the undisputed champion of action camera industry, the GO Pro Hero 3 with just their debut in the market. Owing to the camera’s intuitive features many users have even claimed that they are never ever reverting back to GO Pro. We advise our users to get their hands on the device as soon as possible to experience action capturing like never before.